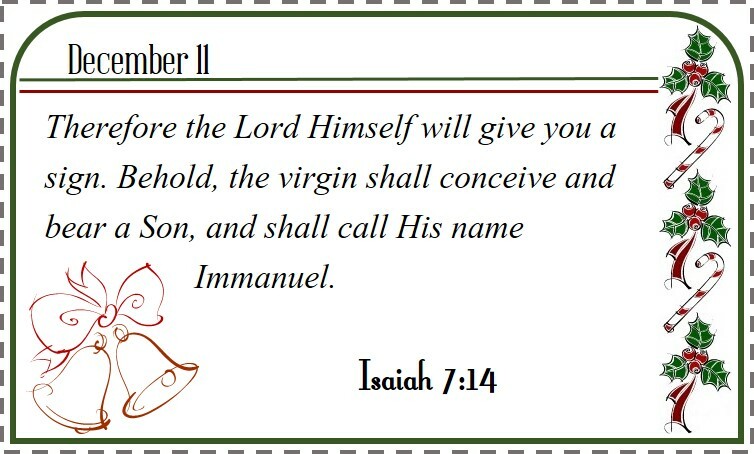 If you remember, from last month, I posted some freebie downloads for a Bible verse calendar for November. To continue, here are downloads for the month of December in three versions, ESV, KJV, and NIV. 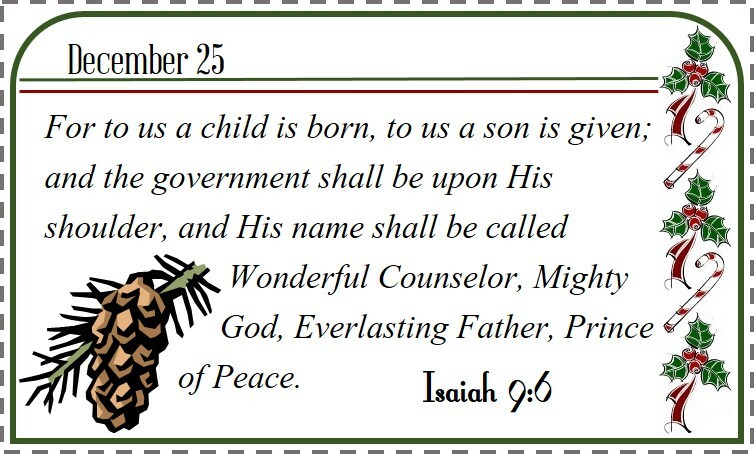 Some of these verses are truly golden ones for the beautiful time of year we celebrate Jesus’ birth. I hope you enjoy these as much as the November ones.